Installing Closed Circuit Television or CCTV can be straightforward, all the more, users want a specific area being constantly monitored and safeguard any asset from possible damages. However, there are details that one cannot overlook and never lower any expectation and succumb to what is less. Probably, here are some questions one should ponder thoroughly before making their purchase. Firstly, prospective users should clarify their needs. This is a priority as one need to know where the cameras will be positioned. For example, a show owner may want to set up their CCTV at the front of the cash desk to oversee all transactions and also to prevent stealing. CCTVs may also be found at the entrance so that no customer can walk away without paying and to prevent a possible break in, after opening hours. Alternatively, residents of a quiet neighbourhood may need CCTVs around their homes to prevent trespassing and vandalism. CCTVs will also be helpful for public transport operators to ensure the safety of all commuters, for crowd control, or no foul play with stations etc. If the cameras are installed for identification purposes, prospective users may wish to have their CCTVs mounted at eye level so that closer and clearer images can be captured. On the other hand, if the motive is for an overall monitoring of activities, it is recommended to keep the cameras high. So that more things can be captured simultaneously. Users should also pay attention to buildings, public structures, or trees, that may possibly be blocking the views of the installed cameras. After the above had been settled for, users should begin to ponder on the need for CCTVs. Indeed, CCTVs garnered a round the clock monitoring of targeted areas, but always bear in mind that CCTVs are not the one and only solution to all security problems. Aware of why it is unavoidable to use CCTVs and note that offenders may find ways to overcome the barriers, to get their faces or features hidden, and crimes will never be a history despite the presence of CCTVs and/or related surveillance. A good way to maximise surveillance is to couple CCTVs with other measures like employing security guards, adding intruder alarms, or simply, to stay vigilant. Last but not least, it may sound trivial but CCTV first-timers should also set aside a reasonable budget for installation. 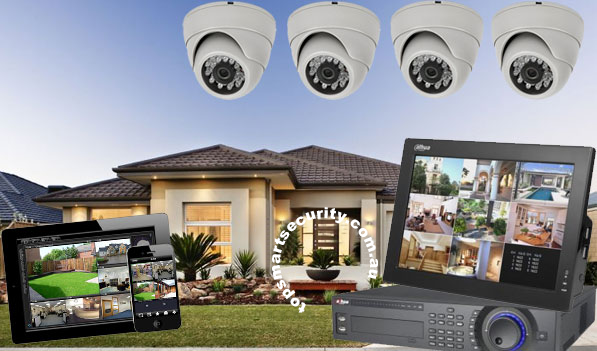 The price of having CCTV systems vary depends on the number of required cameras, size of monitored area, qualities of captured images or sounds, and maintenance after installation etc. The installed CCTV system should be, preferably, be monitored twice a year, to ensure all parts are functioned and warranted. With so many contents to handle, it is best to consult and employ qualified contractors during installation, so that they can provide us, with the most detailed and accurate help.